Located in the Chiricahua Mountains of Southeastern Arizona, Cave Creek Ranch occupies 7 secluded acres alongside famous Cave Creek, and offers spectacular views of the rhyolite cliffs of Cave Creek Canyon. Our hummingbird feeders, seed feeders, water, shrubs and trees attract many Arizona specialty birds, including the Elegant Trogon, Montezuma Quail and 12 species of hummingbirds. Southeast Arizona bird watching attracts many vistitors to the area. Habitats at Cave Creek Ranch range from pine-oak woodland and cottonwood-sycamore riparian areas, to grassy meadows and Chihuahuan desertscrub. Evergreen forests are less than 2 miles away and hiking trails lead to the top of the canyon. Our lodging options range from Meadowview Apt 1, a small apartment that sleeps 2, to the Ranch House that sleeps 8, with a variety of cabins and lodge apartments in between. All include private bathrooms and fully equipped kitchens. Your experience here will be a special time; away from the modern world, and free from the distractions of cell phones, TV and radio. Wi-Fi is available on the office porch. Not a birder? 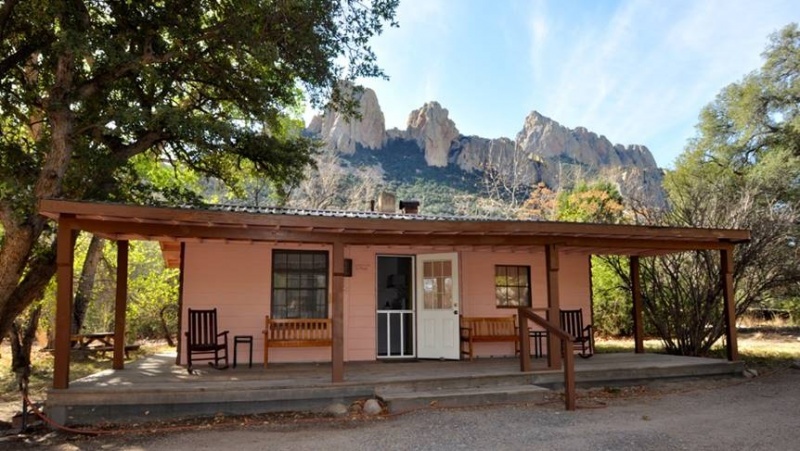 Cave Creek Ranch is ideal for retreats, conferences and weddings, as a base for hiking or exploring the Chiricahua Mountains, and for viewing spectacular Fall colors. It is also excellent as a base for people interested in butterflies, moths, dragonflies, bats, reptiles, wildflowers, and many other elements of flora and fauna. There are over 240 miles of maintained trails in the Chiricahua Mountains, many of them day hikes. 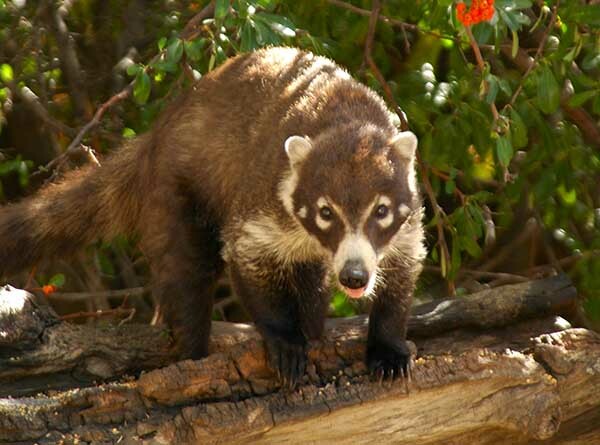 A series of day hikes allows you to see a greater variety of the flora, fauna, and scenery. Located a quarter mile from the Coronado National Forest Cave Creek Ranger Station, Cave Creek Ranch is perfectly situated as a base camp for day hiking. Our lodging options range from a small apartment that sleeps 2, to the Ranch House that sleeps 8, with a variety of cabins and lodge apartments in between. All include private bathrooms and fully equipped kitchens. Your experience here will be a special time; away from the modern world, and free from the distractions of cell phones, TV and radio.